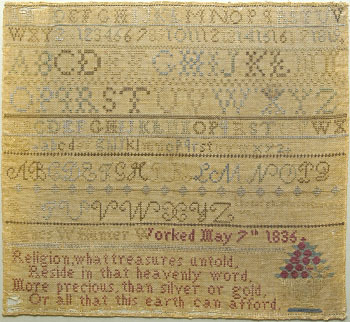 Agnes Hunter (1824-1898) was eleven years old when she made this sampler. 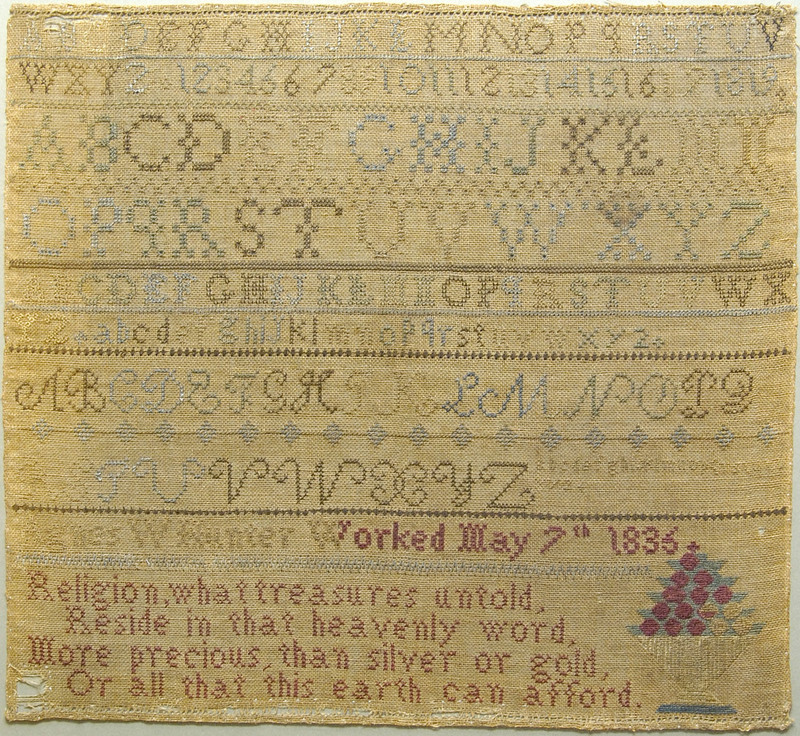 Agnes may have stitched her sampler under the tutelage of Charlotte Fanning at the Fanning Girls’ School. The daughter of Henry Hunter, a prosperous farmer, she married Samuel Fielding Glass, Jr. and had four children. The text on Agnes's sampler is Verse 4 from "Verses by Alexander Selkirk" (1782) by William Cowper.